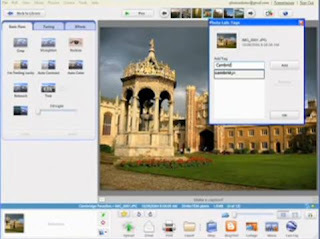 One of the best-quality catalog of photos, he will allow you to enter an arbitrary number of photos, (and this can be very, very, large number), and will automatically sort them according to some parameters that will read, (like the date), but will they be able to manually clean up the folder you want. In this way, with the help of built-in search, you can very quickly find the desired photo and see it with other photos that were made at that time, or are complex in the same folder. Photos of most in Picasa title comes from the camera and memory cards, so Picasa allows you to process and that the photos are bette r quality, this means that with the help of colors, lights, hay, cutting staff, or adding an effect (and there are twelve of them) do just onakvu photo what you wanted from the beginning. 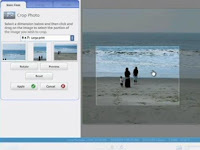 This program supports the creation of additional content, such as poster, collage, web-pages with images.